Over the last 20 plus years, it has been our pleasure to care for some extraordinary people. Here are just a few words from loved ones who welcomed us into their lives to care for a family member. Absolute Health Care was the best during the many years that Mom needed their services. 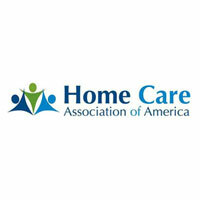 I would recommend them to anyone who is looking for home care. They were wonderful to us and we will never forget it! Two things impressed me most about Absolute Health Care. First was the professionalism with which you started the care. You made it a point to include my mother in the assessment process. Second was the patient centered care that was provided to my mother. As her needs changed, you adapted while allowing her to maintain some of her independence. I want to tell you how extraordinary your caregivers were during my mother's last weeks. I am so grateful for all they did and, more importantly, for their loving characters. Thank you for everything! As a licensed fiduciary, I work with many elderly and disabled clients who rely on caregivers for attentive care and companionship. Absolute Health Care provides all this and more to my clients with a staff dedicated to effective communication, compassion, and professionalism. If you're looking for a company that genuinely cares about your loved-one or client as much as you do, look no further than Absolute Health Care. 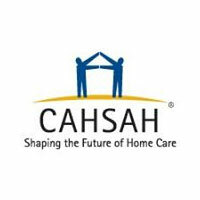 These memberships allow us to stay abreast of improvements in the home care industry so we can offer the best available care to our clients. Absolute Health Care is a privately owned and operated agency in Orange County, California. With over twenty years of providing caring assistance, we understand just how stressful choosing the right company can be. We believe it is essential to show compassion for our clients and their loved ones, beyond just providing standard services. We seek to maximize the potential of each client, every moment we are on duty. 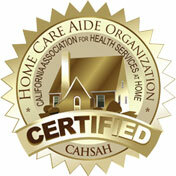 This commitment has helped us to become one of the most respected healthcare services in Orange County.